Hey good lookin'....whatcha got cookin'? The spot I voiced for the Pillsbury 49th Annual Bake Off is now airing on select channels (possibly including the Food Network!) Keep an eye (ear?) out for my voice, and get your entry in to win! 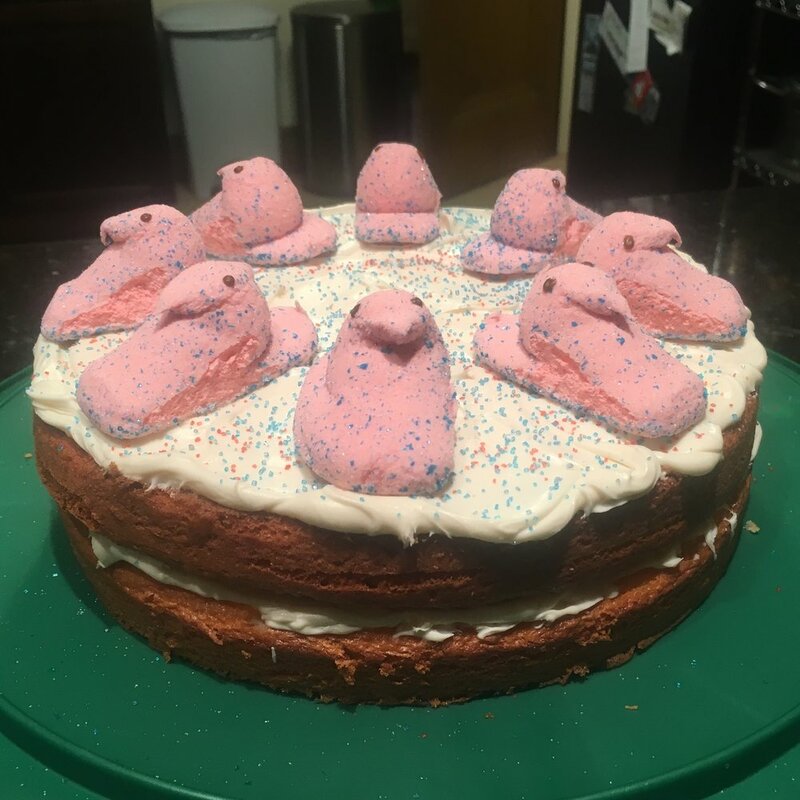 A cake I recently made...yes those are Peeps on top. Terrifyingly tasty!